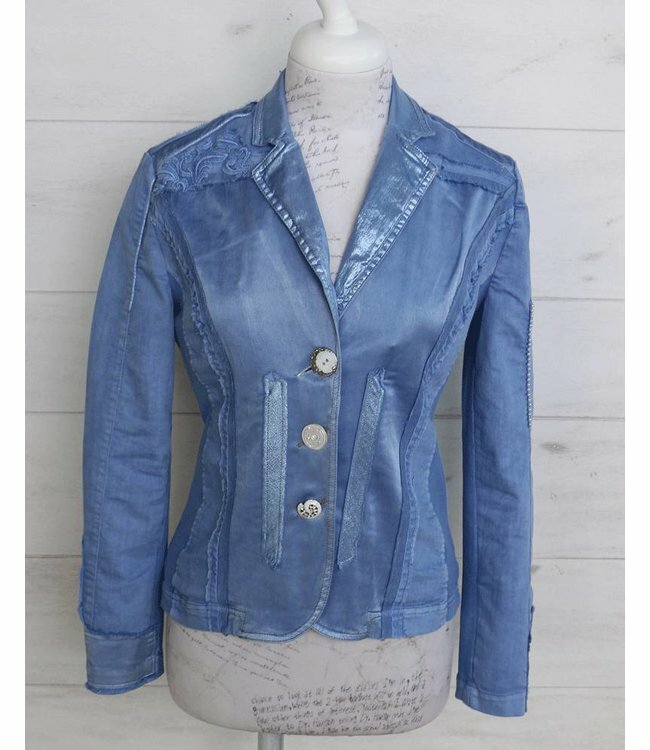 Casual, tailored, short denim jacket, blue, with various fabric insets. Both of the jacket's side panels have a stretch fabric inset. It is further decorated with blue visible seams as well as various handcrafted buttons. 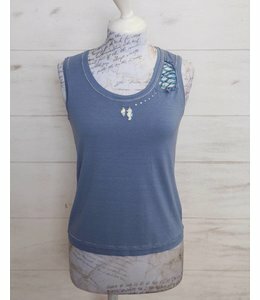 Casual, tailored, short denim jacket, blue, with various fabric insets. Both of the jacket's side panels have a stretch fabric inset. It is further decorated with blue visible seams as well as various handcrafted buttons. 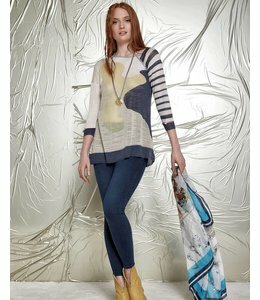 You can also find the matching top ELP179002809 col. 17012 Battigia in our Shop.